This bill fully implements the bi-partisan 2012 law which overturned a 1960’s era Department of Labor ban against states drug testing unemployment applicants. The legislation confirms that states would be allowed, but not required, to test unemployment applicants who lost their jobs as a result of drug use or are seeking a new job that generally requires new employees to pass a drug test. 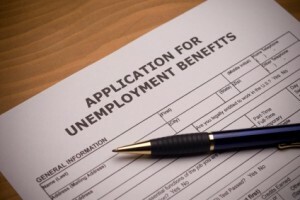 States would also be allowed to create or design programs that would assist unemployed applicants overcome any obstacles relating to their drug use and be ready for work. The White House defaulted on their responsibility to implement the law as Congress had originally intended. There were several roadblocks, delays and obstructive regulations issued during the past four years which would guarantee progressive states such as Texas could not screen and test for drugs. Texas officials deem this is a common-sense measure to ensure unemployed workers are ready and available to work and potential employers have access to good workers. It is their belief that a potential employee should be able to pass a basic pre-employment drug test for a job that requires one. Background: In 2012, Congress passed and President Obama signed the bipartisan Middle Class Tax Relief and Job Creation Act, which included an important policy allowing (but not requiring) states to test UI applicants who either (1) lost their job due to drug use, or (2) are seeking a new job that generally requires new employees to pass a drug test. In August of this year, over four years after the drug testing provision was enacted, DOL issued its final rule, which fell significantly short of achieving the intended purpose of the law, effectively preventing states from implementing this important policy. The Ready to Work Act of 2016 provides relief from the final DOL rule so that states—not the federal government—can determine how to administer UI benefits and help unemployed Americans return to work. The following members of the Committee on Ways and Means joined Chairman Brady in introducing the “Ready to Work Act of 2016”: U.S. Reps. Sam Johnson (TX-03), Peter Roskam (IL-06), Charles Boustany (LA-03), Tom Price (GA-06), Tom Reed (NY-23), Mike Kelly (PA-03), George Holding (NC-13), Adrian Smith (NE-03), Jason Smith (MO-08). Previous: Two synthetic drugs pose threat to public health. What are they?